Heroes pages have got a new section with counter-picks. There you can find the list of heroes which are most successful in countering given hero, most often win and kill him. 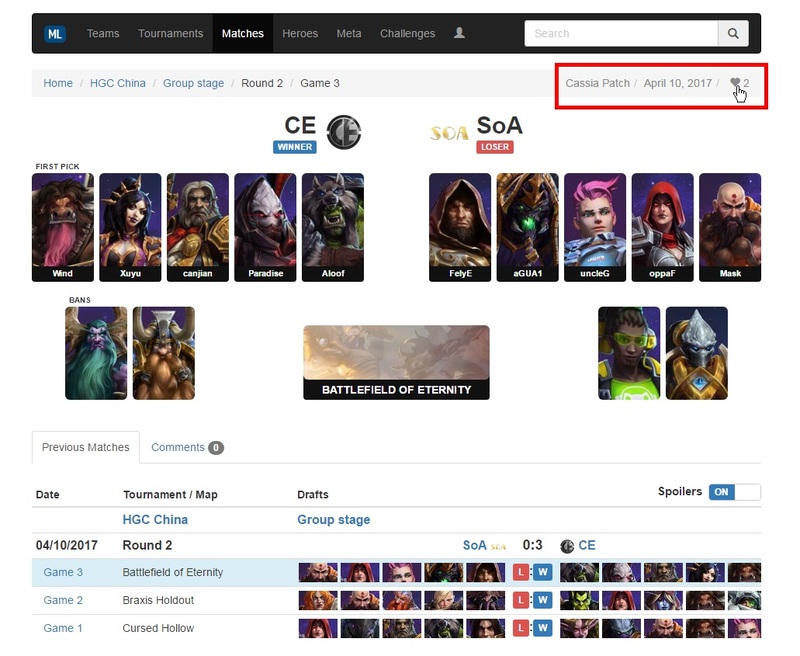 Additionally, if you click the button at the beginning of the line, you can uncover the list of matches featuring the selected pair of heroes. 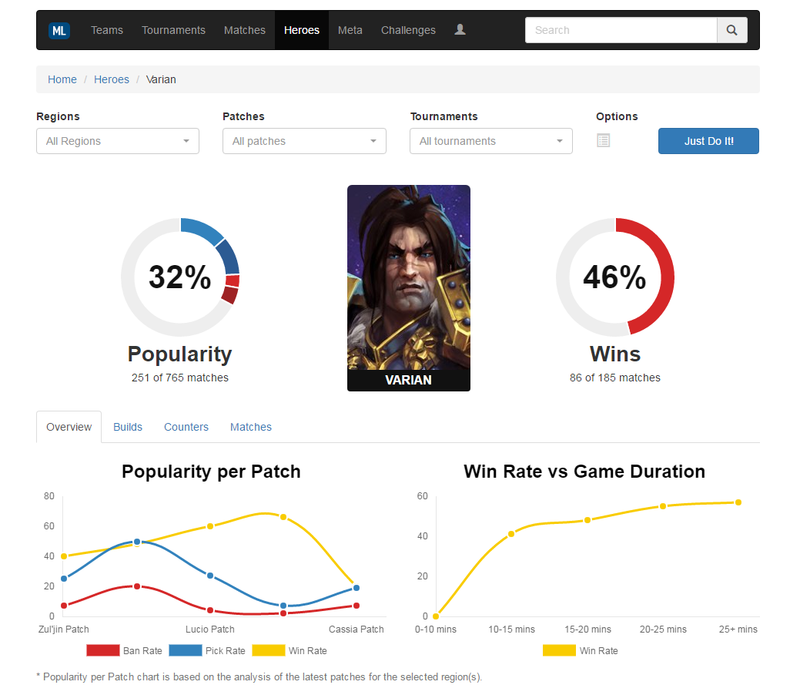 The number of matches in the popularity block now reflects the correct match count excluding the games that happened before the release of the hero. 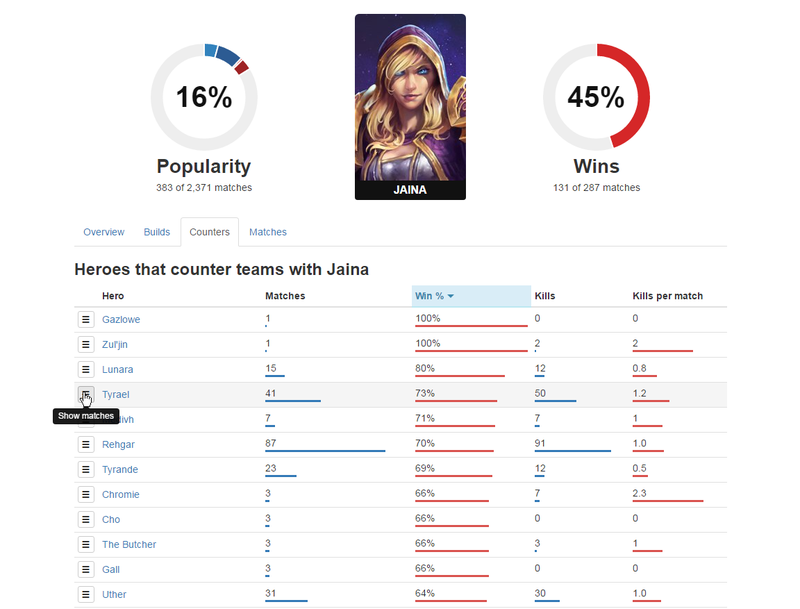 Also, we have reworked the filter on the heroes page to match corresponding blocks on the meta, maps, and other pages. The match pages now shows patch name just before the date. Right next to it you can find the "Add match to favorites" button to mark interesting matches. The number of marks can be seen to all site visitors, which is handy to find the most exciting matches to view, if you happened to miss some of the tournaments. The list of your favorite matches can be found in your user profile in the corresponding section. In addition to that, the matches section now features a filter to that effect. 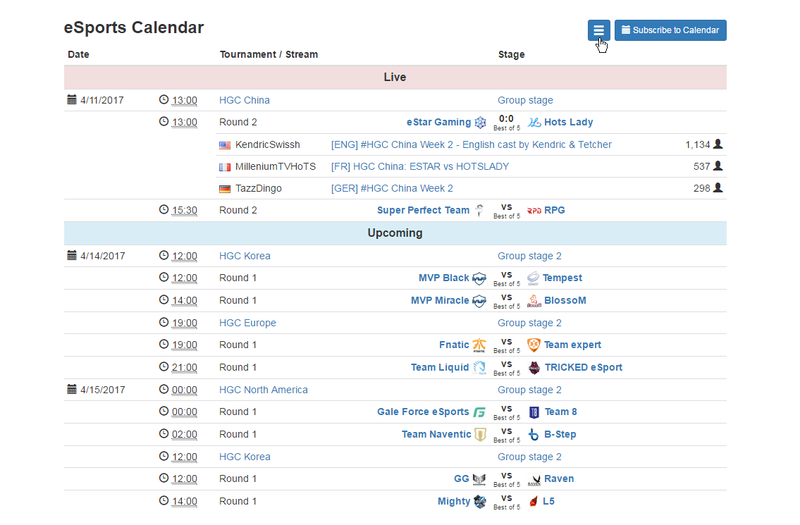 Our eSports events calender has got a new button that lets you toggle the visibility of the upcoming matches that are part of future tournaments. Otherwise, it's been a long while since we rolled out the last major update due to personal reasons. We hope to make up for it in the future! Don't forget to join our prediction challenge! This time around we've got some awesome prizes in store for our winners! Previous changelog: HGC Prediction challenge. Season 2.